When I studied abroad in Scotland last year, murmurs about the best restaurant in town echoed throughout my dorm complex all semester long. The joint was called Noodles & Dumplings, and despite its bland name, its cuisine was rumored to be packed full of flavor. Naturally, once I heard about Noodles & Dumplings, I immediately bolted out of my dorm, power-walked down the cobblestone streets of my town, and burst through the front door of the restaurant. I was ready to gobble up all the shrimp fried rice I could possibly buy. As someone who never carries cash, eating my dinner that day required a jog to the ATM and a withdrawal of $200 to justify the hefty international ATM fee. It was quite a large commitment for some fried rice. Now, I’ll be honest, the dish was delicious. It was definitely all that it was cracked-up to be. But was it worth the hassle? I probably wouldn’t be venting about this experience if it was. Nowadays, your customers expect you to accept credit card as a form of payment, regardless of the size of your business. In fact, 77% of consumers prefer using credit or debit cards as their main form of payment. If you only accept cash, you risk losing a ton of customers — and revenue. With this in mind, owning a POS system is crucial for your retail store’s or restaurant’s success. But POS systems aren’t just important because they can accept credit cards. POS systems can also track your inventory, measure your sales, and transfer funds to your bank account. It’s like a smart cash register that can help you better manage your business. 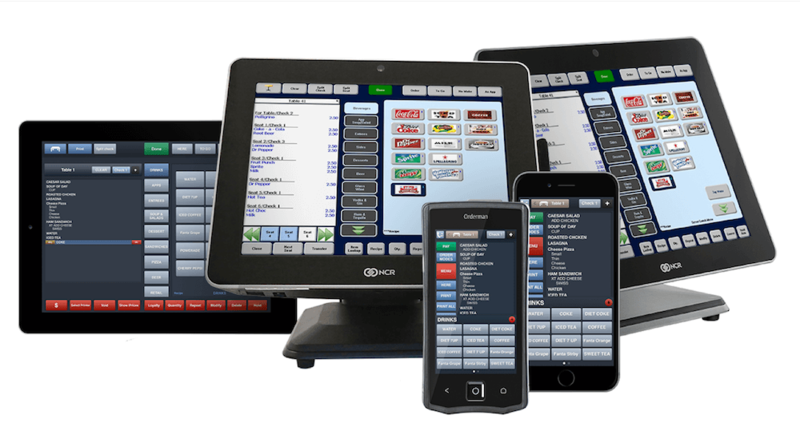 To help you pick the right POS system for your company, we’ve put together a list of the best ones for retail stores and restaurants. Read on to find the best POS system for your business. A point of sale (POS) system is a hardware and software system that lets you check customers out and accepts multiple forms of payment, like cash, credit cards, and mobile payments. POS systems’ hardware can print receipts, scan barcodes, and store cash. POS systems’ software can track inventory, measure sales, and transfer funds to your business’ bank account. 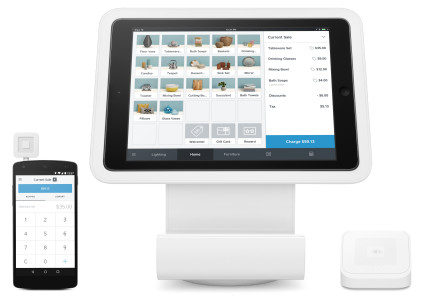 Trusted by more than two million businesses across the globe, Square POS is an intuitive point of sale system that can keep tabs on your customers’ purchase history, send digital receipts, collect customer feedback, generate sales reports for specific products, and track your inventory. 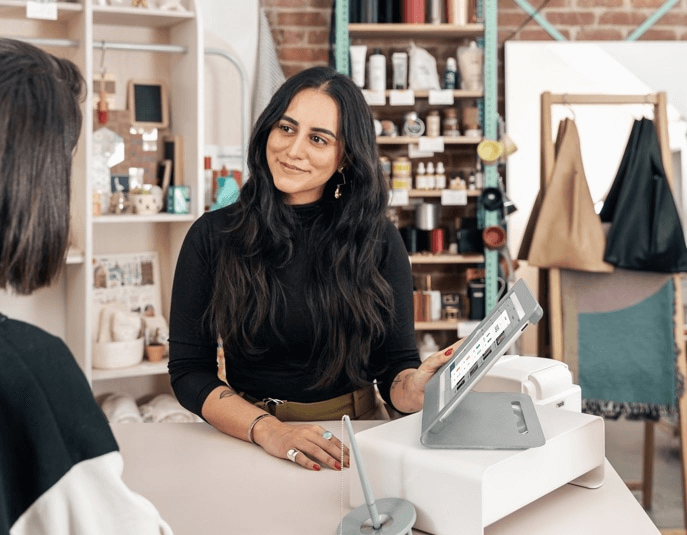 Square POS can also accept cards, cash, checks, and gift cards and transfer your funds to your bank account within one business day. Tailored specifically to restaurants, Toast is an all-in-one point of sale system that can gather data on your food cost percentage, recipe costs, inventory variance, and menu engineering. It can also generate sales reports, sync your in-store and online menu so you don’t have to make the same changes multiple times, and has a built-in CRM that can collect your customers’ contact information and order history. Shopify, the leading eCommerce platform, sells a point of sale system that can seamlessly integrate with your online Shopify store. In their POS system, each new order automatically creates a customer profile that includes their contact information, order history, and shopping habits. You can also organize your products by category, type, season, sale, vendor, price, and inventory level. If you want to analyze your store’s performance, you’ll have access to a robust set of product reports, retail reports, and a dashboard. Used by more than 80,000 restaurants around the world, Aloha is a single point of sale platform on which most servers and cashiers in the restaurant industry have been trained. With Aloha, you can let your customers order from their table, self-ordering kiosks, or even their mobile devices. You can also offer them promotions, rewards, and gift cards and generate reports about operational, sales, and employee data. Designed for retail stores of all sizes, Vend is a smart point of sale system that more than 20,000 business trust and use every day. With Vend, you can keep track of your customers’ shopping habits in their customer database, measure your store’s performance, and manage inventory across multiple stores. 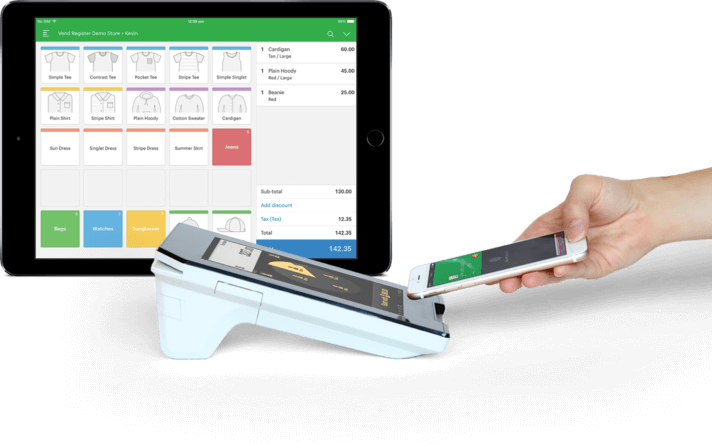 Vend also integrates seamlessly with common business applications, like Shopify, Xero, PayPal, Apple, Worldpay, and Square.